Farmers in Northern California are familiar with 300 days a year of sunshine. The sun and fertile soil make the agriculture industry in California the best in the country (1st in cash crop receipts in the US). Now we are finding other efficient ways to put the sun to work for California farmers, and it’s through solar energy. So far, a quarter of the state’s farms are powered through solar energy. Ahead in the blog, we’ll be looking at the relationship between agriculture and solar energy, and how it could save the farmer’s land while also saving his wallet. Farmers are known for tilling the land, taking care of it, and seeing the earth yield its full potential. While the farmer may not be experiencing it on his/her land, the process it takes to sustain a world structure of non-renewable energy is one of great harm. The process of garnering a material like coal from the earth involves bare-stripping mountains, and using explosives on these mountains to get to the coal beneath them. This process of course takes its toll on the earth, its air and its water, and is not sustainable by and large for the future. Farmers are known for creating sustainable solutions for the good of the world around them through the food they grow. Right up there with food is the subject of energy, and how we can power the farms that feed us or clothe us continue to be of the utmost concern. Perhaps the lasting solution for good land is omitting greenhouse gases, pollution, etc.. All in all, partnering with renewable energy is a way we steward the land we’ve been given and create a sustainable future. What Do These Choices Mean For The Farmer's Land? By partnering with renewable energy, the farmer is, more or less, saying yes to environmental change they may never see. Yet farmers make these types of decisions all the time. They are leaving their land to the next generation, and steward it as something far more valuable than what they glean from it. In the end, the sun rises every day in power, and every farmer is well aware of it. If the sun is powering every endeavor out in the field, couldn’t it also power the rest of the farm? 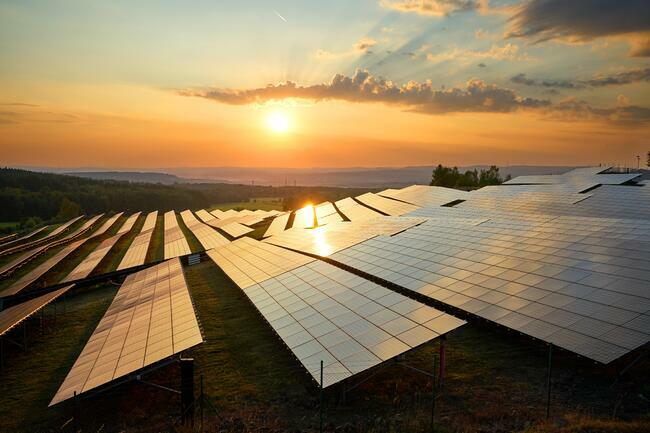 Aside from environmental stewardship, solar energy brings possibility for some serious savings. Ultimately, the financial resolve that renewable energy brings is this: The sun’s energy is free for anyone that has paid off a solar system. 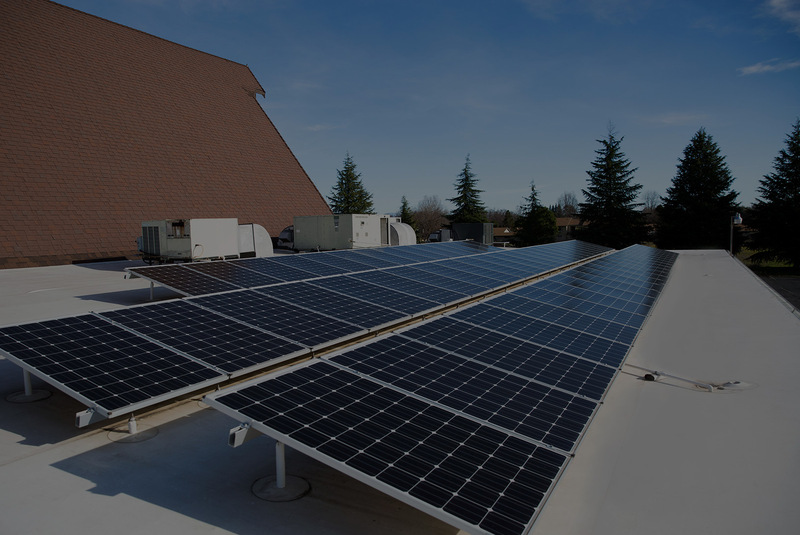 Solar energy gives a system owner the potential to own their own energy structure, an possibility the electric company doesn’t offer. By paying towards your own energy structure instead of into the electric company, you position yourself to “own” the largest energy source around: the sun. A basic overview for a purchase in solar energy would look like the farmer taking out a loan on the system (if he needs to) and paying it back per month in a way that mimics the electricity payment he used to have. If the system is sized properly, the farmer will see their electric bill virtually eliminated. When the loan is paid off, the farmer will essentially own their own power plant, and with it will take advantage of the sun’s rays. The same sun that powers your field wants to power your farm. With positive environmental effects and serious financial savings, solar energy sets the farmer up for a sustainable future. As the industry continues to grow, the government is incentivizing solar installation to bring renewable energy structures to the farmers in this country. Have a solar installer come out and quote a system for you to find out how much you could be saving.